Kettler Speed 5 — the indoor bike for ambitious cyclist. The Speed 5 is of commercial quality and can be perfectly adjusted to your needs and is excellent for intensive, regular training. The Kettler indoor bike Speed 5 Biketrainer is a very stable fitness equipment of commercial quality. It has a very stable frame and large feet - it stands safely and is suitable for regular, intensive training. The flywheel (18 kg) has high-quality ball bearings for a smooth and joint-gentle concentric run. The ball bearing of the Kettler Speed 5 is very durable. 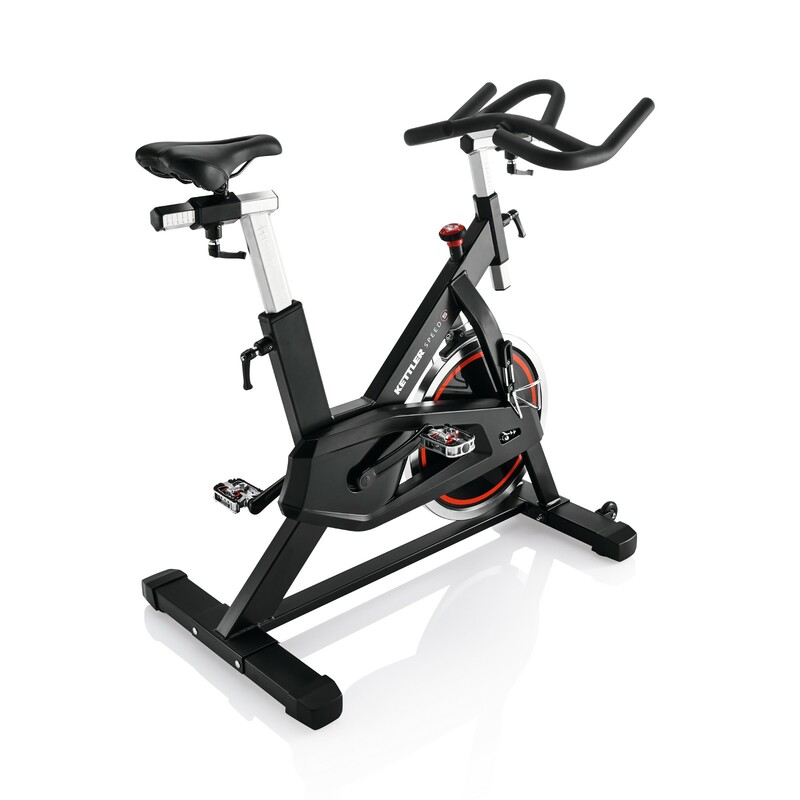 Saddle and handlebar are adjustable for perfect training position on the Kettler indoor bike Speed 5 Biketrainer. Infinitely variable adjustment in height and horizontal direction is possible. The sport handlebar offers many different grip positions. Long, exhausting training sessions make fun. Pedals can be used with common sport shoes or special click shoes for cyclists. La kaña! Suelo entrenar amenudo con este tipo de bicis indoor en gimnasios, y esta no tiene nada que envidiarles. Súper estable, diseño muy chulo, muy cómoda por los ajustes disponibles. El manillar también destaca por la comodidad y no resvala. La recomendaría sin dudas! Très bonne qualité de construction, silencieux, simple, efficace. Kettler indoor bike Speed 5 Biketrainer add to comparison list.